Professional quality painting with a home shop compressor. 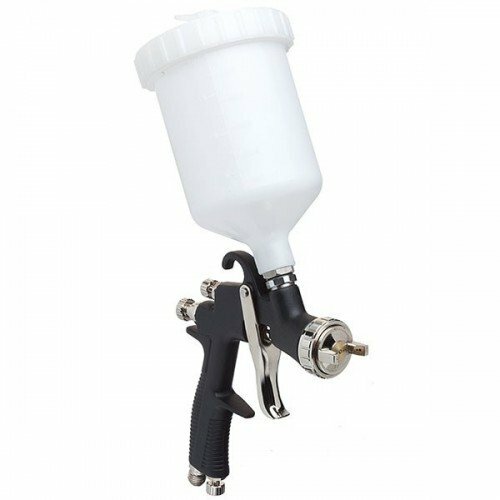 The Eastwood Concours LT HVLP paint gun has many features of the professional guns, but it was specially designed to require the least amount of air possible. This makes it ideal for the home user without a big 80 gallon compressor. 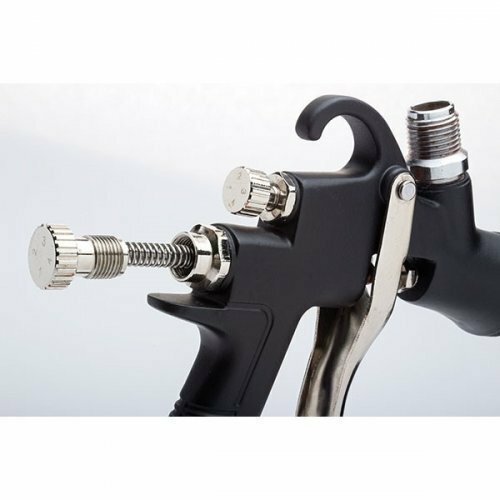 The aluminum body is anodized to resist corrosion, and all the internal passages are stainless steel for use with solvent or water based paints. Engineered specifically for great atomization and a wide spray pattern with high transfer efficiency and little overspray. 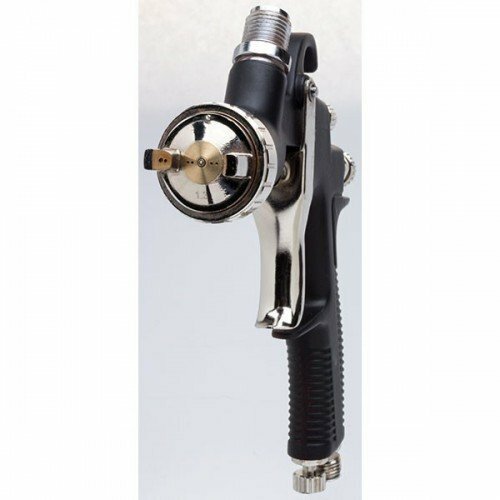 A brass machined aircap is includes as well as a 1.3mm nozzle ideal for base coats or clear coats. Additional nozzles available in 1.5mm (#15641), 1.7mm (#15642) and 2.0mm (#15643) sizes. Gun comes complete with plastic cup and cleaning kit. Make your Concours LT more versatile by changing the needle, nozzle and air cap. These sets are mach..